During my short visit to Dominica last month I made a brief stop in Castle Bruce, an agricultural village on the east coast to visit relatives. As I drove slowly through the center of the village in Jalousie, I could barely control the jeep on a bumpy and medieval like unpaved road. I asked myself is anybody representing this place or is it forgotten and a lost cause? I was determined to contact Parliamentary Representative Mr. Johnson Drigo before I left to ask him why is this main road in such deplorable condition. I quickly remembered that my well placed Castle Bruce sources told me in back in March that Drigo will be dropped from the Dominica Labour Party (DLP) ticket for the next elections. And so having any dialogue with him would be pointless. I can remember the very first time I visited the village where my dad was born and raised when I was a kid in the late 60s. It was a rainy day and the red clay dirt stock to my black 'toeless' shoes as my elderly grandparents struggled down a hillside not too far from their small wooden house in Jalousie to greet me. My dad (their son) had left the village in the early 50s for greener pastures in Guadeloupe where he met my mom, a teenager from the La Plaine Valley who was working and living with her older brother in Petit Bourg. They briefly returned home where my sister and I were born before migrating to London. According to historian Dr. Honychurch, the village got its name from Captain James Bruce of the Royal Engineers in the 1760s when the British took over the island. Captain Bruce surveyed and selected one of the flattest and widest valleys on the island that opens up into a sheltered bay for his plantation. He named his new plantation after himself and prefaced his house with the word 'Castle' to make it sound more grand. He purchased hundreds of slaves to work on his plantation and at various times scores escaped into the surrounding hills to join the Maroons ('Negre Marron'). Castle Bruce was the scene of the capture of the free mulatto revolutionary Jean Louis Polininare in 1791, the leader of a major revolt on the island that year. In 1860 a police station was built near the old Castle. In 1950 The Commonwealth Development Corporation (C.D.C) bought the old estate. The British government set up the C.D.C in 1948 with the aim to develop self-sustaining agriculture, industry and trade in the British empire, especially in poor rural areas in Africa and the Caribbean. The C.D.C employed almost everyone in Castle Bruce and the surrounding hamlets in banana and coconut production. 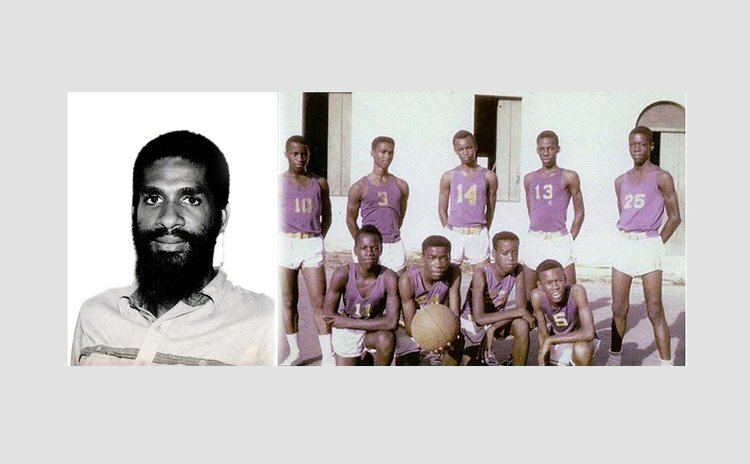 In an article entitled , ' Radical Politics in Dominica 1970-1980', Attorney and author Mr. Gabriel Christian outlines the demise of the C.D.C and the change in the land holding patterns on the estate. In 1972, the workers at C.D.C revolted (known as the Castle Bruce Affair) under the leadership of Cornell University educated agronomist and a former Minister of Agriculture, Mr. Atherton (Athie) Martin. Upon his return to Dominica, Athie was made an estate manager at C.D.C. He later disagreed with what he considered to be a draconian managerial directive to fire 53 workers for financial reasons. This action would further impoverish the village which depended on the estate for income. Athie deeply resented the exploitation of village peasant laborers on the C.D.C estate and thought they should run it in their interest on a collective basis. 1. 2. On November 3, 1973, a contingent of Castle Bruce farmers under the leadership of Martin attempted an entry into the National Day parade at the Botanical Gardens. Forewarned, the police swooped down on the farmers seizing their red and black banners. However, the pressure tactics worked and the farmers' voices were heard. In time, the estate was purchased and turned into cooperatively farmed property. The Caste Bruce Farmers Cooperatives (1972-1978) had a significant influence on the direction of rural development processes in the Caribbean in the 70s. Given today's dire economic situation in rural Dominica, that model should be revisited. Athie would move on to organize the farmers in Castle Bruce (and nationwide) into a formidable political force. Therefore one could surmise that the UWP was conceived in Castle Bruce. While the economics of the village has not risen, the recent politics of Castle Bruce can be best described as a mixed bag of surprises. In the 1995 general elections, Banana farmer Mr. Rome Bannis of the UWP defeated his two opponents who hold doctorate degrees. In the 1980s the then Parliamentary Representative, the late Eden Durant, crossed over from the opposition Dominica Labour Party (DLP) to the Dominica Freedom Party (DFP). In 2000 United Workers Party (UWP) Parliamentary Representative, Ms. Lorraine Bannis who replaced her uncle Rome, defected from the UWP and the joined PM Rosie Douglas' DLP government. I have always studied the socio-economic dynamics, politics, history and migratory patterns of Castle Bruce villagers first to the UK and then to the USVI and North America. In addition, most of the political candidates during the last five elections have been closely related cousins. The question today remains, can the UWP opposition recapture this rural agricultural constituency at the next elections? Those topics will sure dominate the Bannis/John-Finn/Drigo family reunion next year in Nashville, Tennessee.